Penn State University, State College, PA 2008 B.S. Christopher Roberts is a Physician Assistant (PA) certified by the National Commission on Certification of Physician Assistants and licensed to practice medicine in the state of Virginia. Chris was raised outside of Philadelphia in Chester County ,PA. He received his Bachelor of Science degree from Penn State University and a Master of Science in Physician Assistant Studies from Eastern Virginia Medical School (EVMS) in Norfolk. 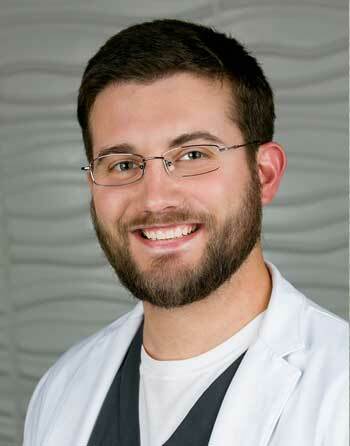 He recognized his interest in dermatology during his clinical rotation here at Pariser. He also has prior experience working as a PA in Emergency Medicine. Chris is a member of the American Academy of Physician Assistants (AAPA) and the Society for Dermatology Physician Assistants (SDPA). "Chris does an excellent job. He is very thorough and knowledgeable." "Chris Roberts at the Williamsburg office is an extraordinary PA -- caring, kind, courteous and very professional." "Chris Roberts was patient, knowledgeable, professional, and personable. I look forward to my next appointment with him!" "My skin cancer screening with Chris Roberts the most intensive exam I have ever had by a dermatologist." "My visit with Chris Roberts was very good from start to finish." "As a senior couple my wife and I have occasion to be in a number of medical treatment offices and I must say that my experience with your Williamsburg office is at the top of scale on professional and efficient health care and all within a friendly atmosphere. And, Chris Roberts is “top notch” very thorough and professional."